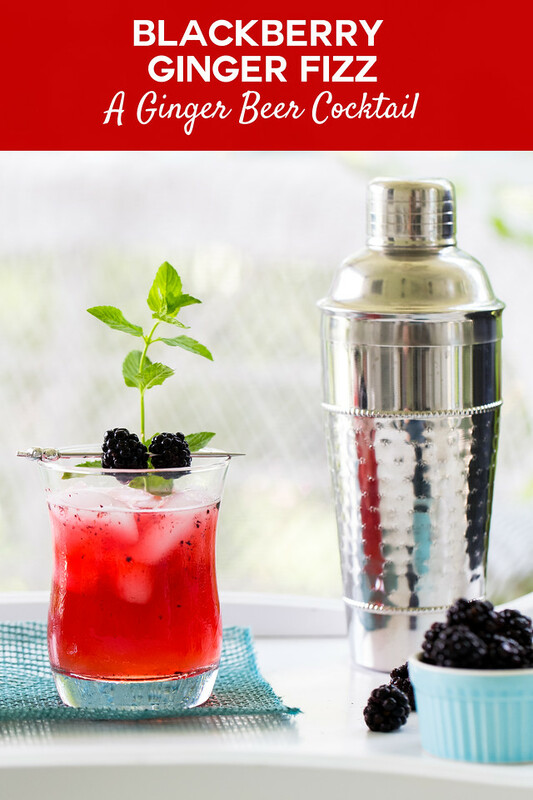 If you love Ginger Beer Cocktails, Fruit Cocktails or Mint Cocktails, then you are going to love this Blackberry Ginger Fizz! It is refreshing and fruity and goes down so easy! Ginger beer cocktails are my favorite. It makes a great mixer and I use it in place of tonic water for a lot of cocktails. I love the flavor of ginger, the slight bit of heat that you get. I love the bubbles. Because sparkling cocktails always feel like a party, don’t they? The other thing I love using in cocktails is fruit! Why not make your cocktails a smidgen healthier, right?! It’s especially good for fruits that come in those very little plastic containers and seem to cost a fortune – blackberries and raspberries. A cocktail is a great way to spread around a little fruit, share the love. Adding mint to cocktails in summer is a no brainer. First of all, if you grow mint, you have a lot of it. Might as well use it in a cocktail, right? Second, it makes cocktails so refreshing. So, now that I’ve convinced you that you need to make this cocktail, let’s get to it! First you’re going to fill your favorite cocktail glass with ice. Then in a cocktail shaker, you’re going to muddle the fruit, mint, simple syrup, and vodka. Strain into the cocktail glass and top with ginger beer and garnish. You might also like this champagne cocktail – it’s fizzy and fun! 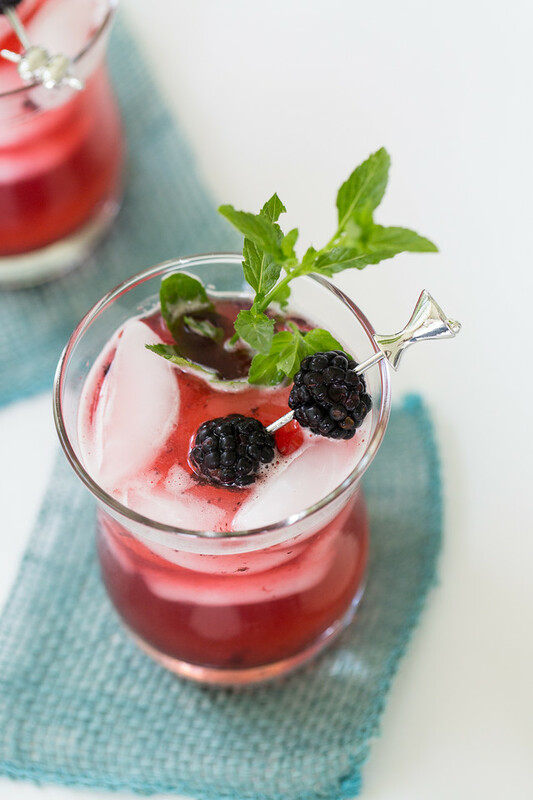 This Blackberry Ginger Fizz is so refreshing! In a cocktail shaker add the blackberries, mint, lime juice, simple syrup and vodka. Muddle the the ingredients to release the flavor. Strain into the ice filled cocktail glass. 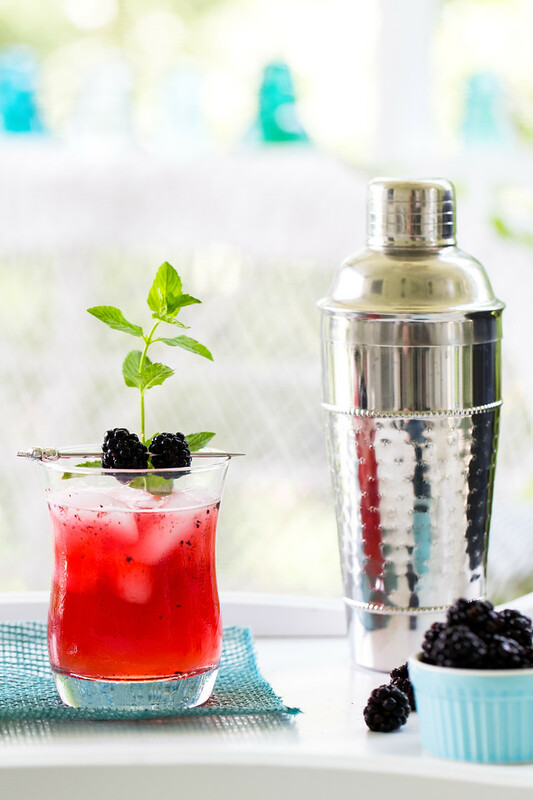 Stir and garnish with blackberries and mint sprigs. Love this drink. Is sharing ok if I link back? Ooooh yum! I’m not a huge fan of ginger beer, so I may stick with ginger ale for this one. But I loooooove using fresh fruit in cocktails, too. Will have to add this to my cocktail list to try later! The blackberry and syrup definitely makes this more appealing to me… it’s so pretty and I bet it tastes great! Oh, I love a good ginger beer cocktail. This one with summer blackberries sounds extra good. Can’t wait to try this out! My fiance LOVES ginger beer. I’m not as big of a fan, but with the added blackberries and syrup, I think I’ll love these! Blackberry anything is my favorite! You have to try it, it might turn you into a fan! Heyyy how freaking beautiful is this!!!! your photography is amazing and this drink sounds outstanding! What a fun way to use ginger beer. Gorgeous shots, I can’t wait to try it. Sounds great and looks even better. As soon as I’m not sick anymore I’ll try this.